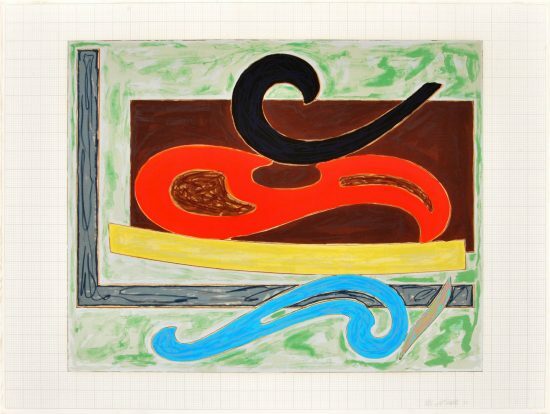 This work is hand-signed and dated by Frank Stella (Massachusetts,1936 - ) in pencil. 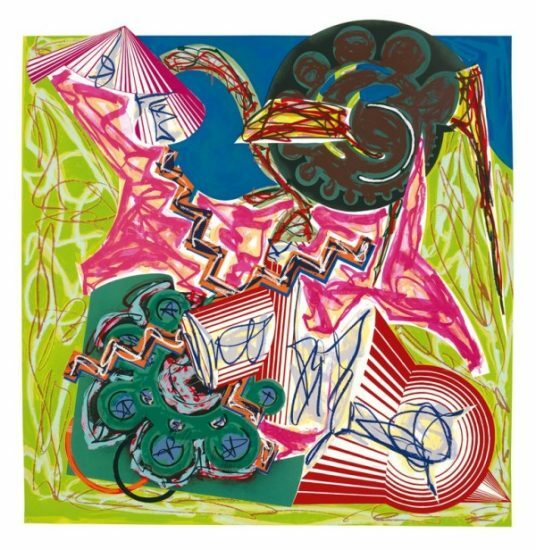 Frank Stella Untitled, 1995 is a magnificent painting full of eclectic shapes and forms practically exploding off the surface. 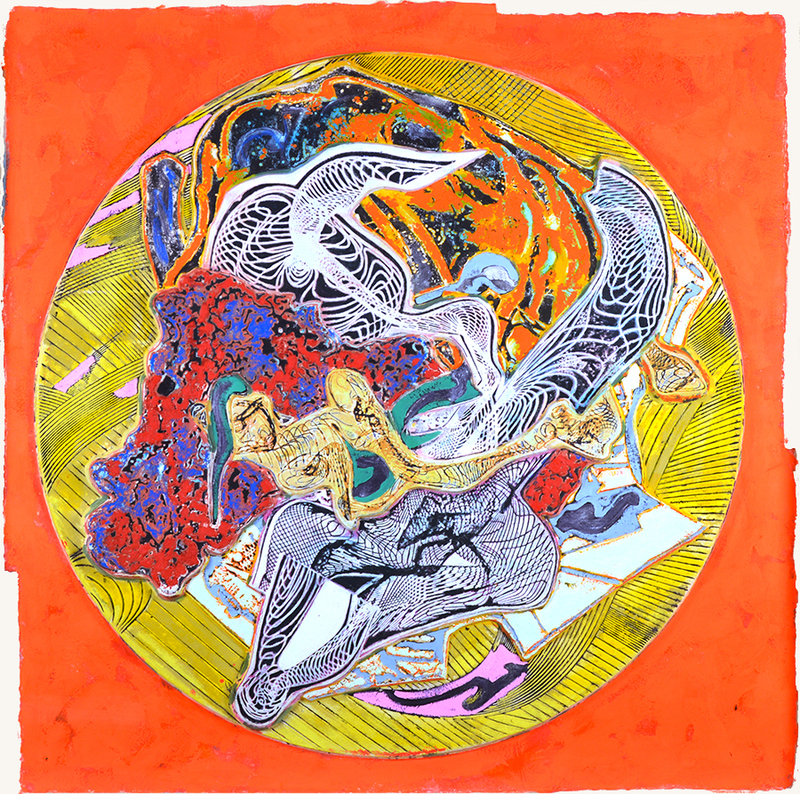 The composition held together by a circle within a square pulls a symbiotic relationship with composition and space. 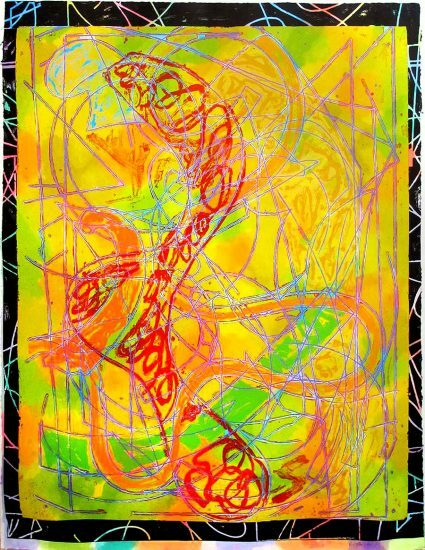 The energetic colors of bright orange and yellow accompanied by pinks, yellow, and red, appropriately allow for the imagery to stand out. 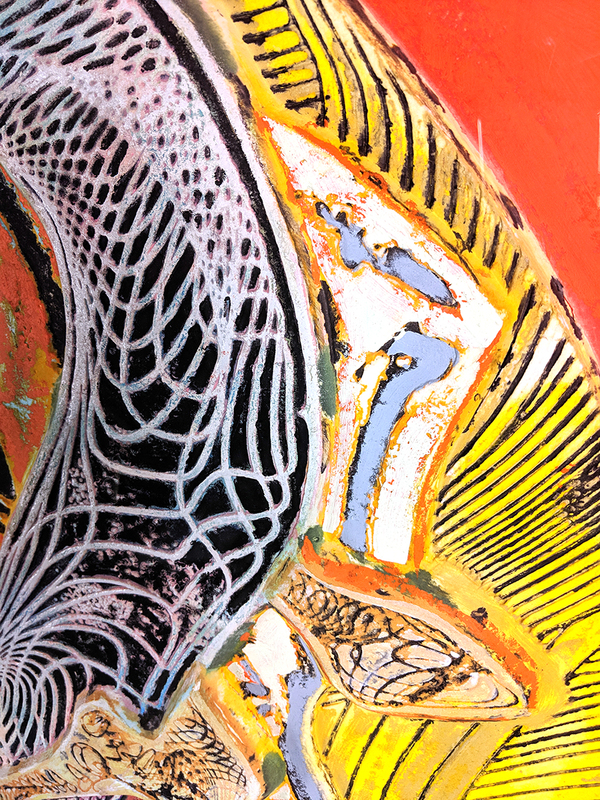 Stella focuses on the asymmetrical quality while exploring all the basic elements. 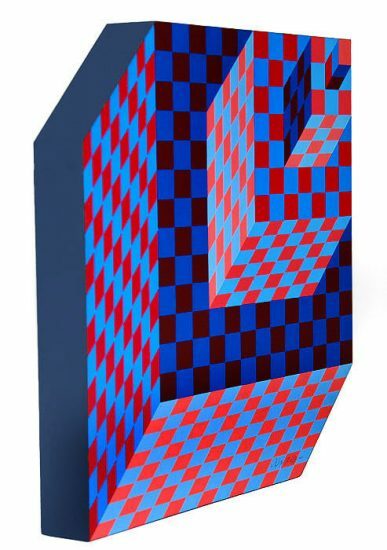 He deconstructs and constructs pieces all at once—creating an optical effect of illusionary objects. 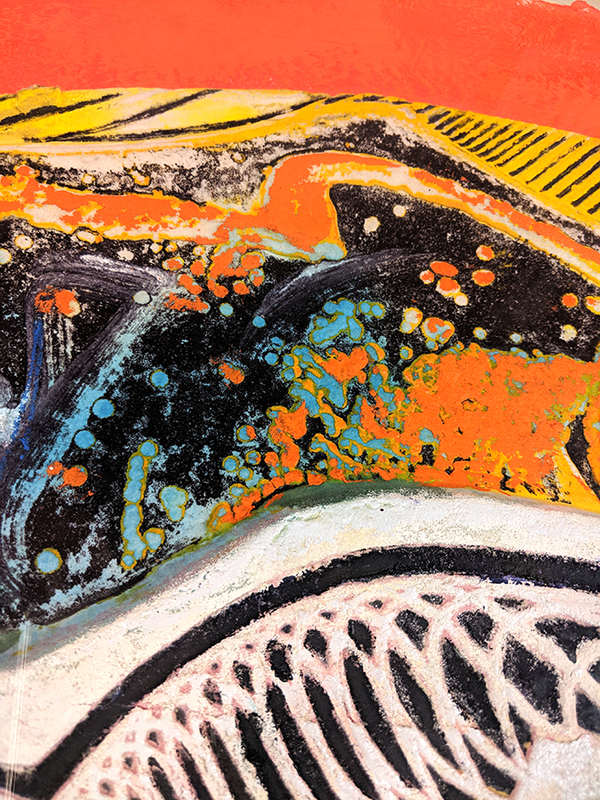 As an artist exploring in nonrepresentational art, you can sense all the abstract forms converge into each other all within the parameter of a circle. 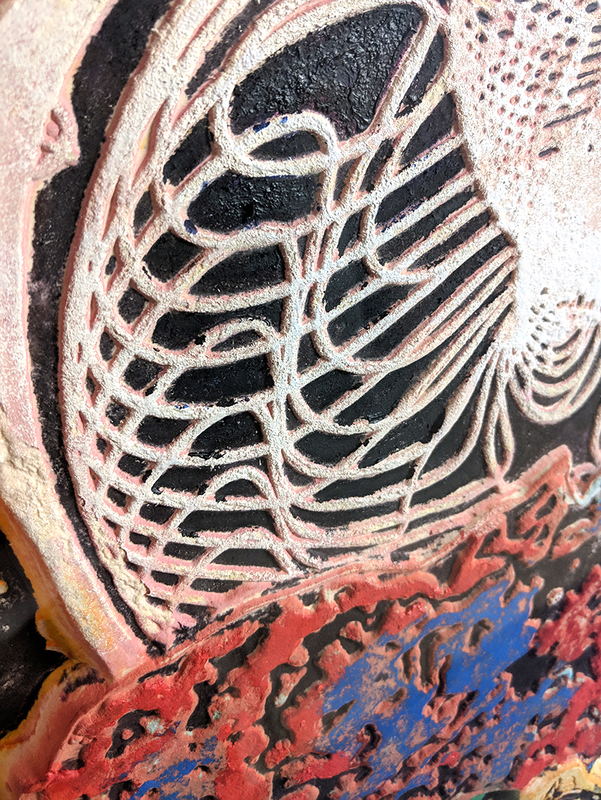 No matter where you look, you can’t tell where a line starts or stops. 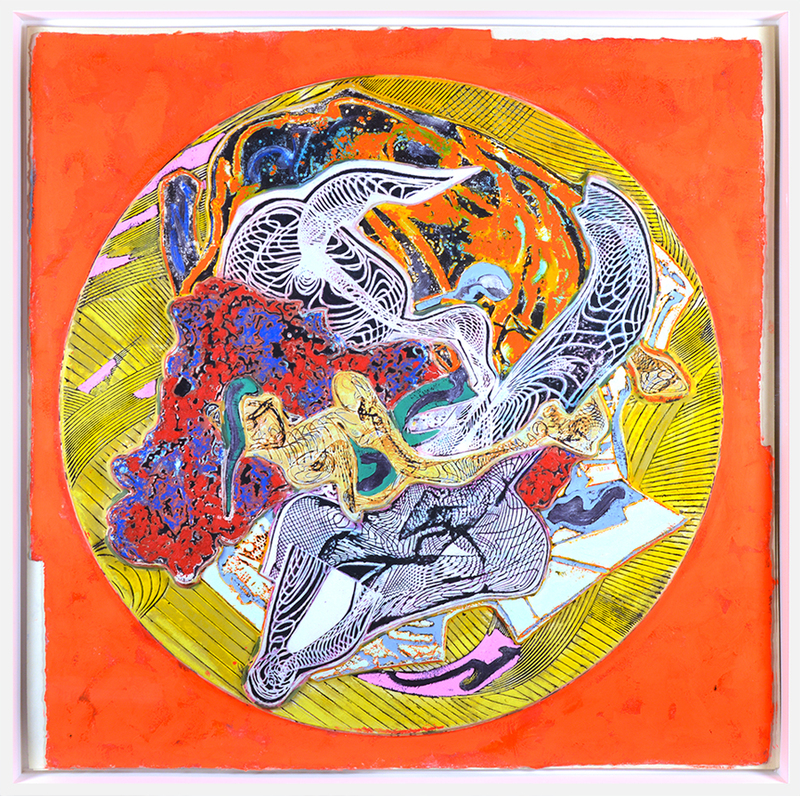 There is a staccato rhythm bound within this gorgeous masterpiece Frank Stella created. 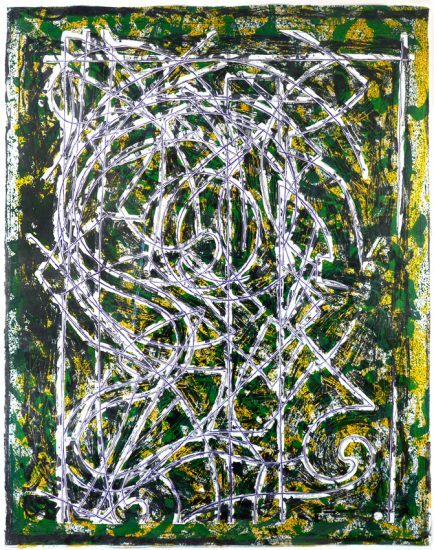 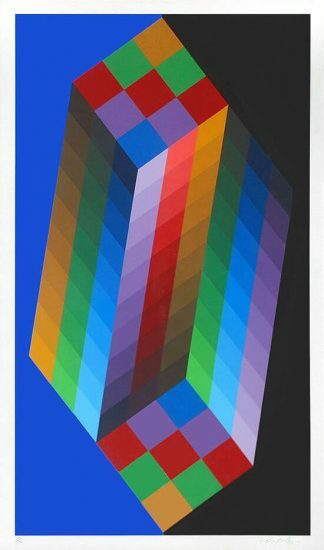 In combination with color, texture, and composition, Untitled, 1995 introduces a powerful élan that is unparalleled. 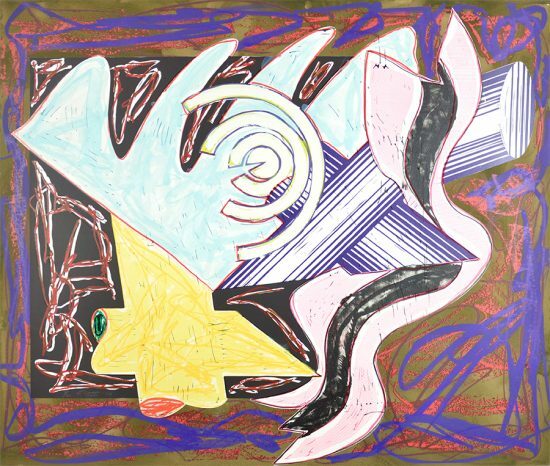 Created in 1995, this acrylic, resin, paper, and fiberglass mounted on board is hand signed and dated by Frank Stella (Massachusetts,1936 - ) in pencil in the verso. 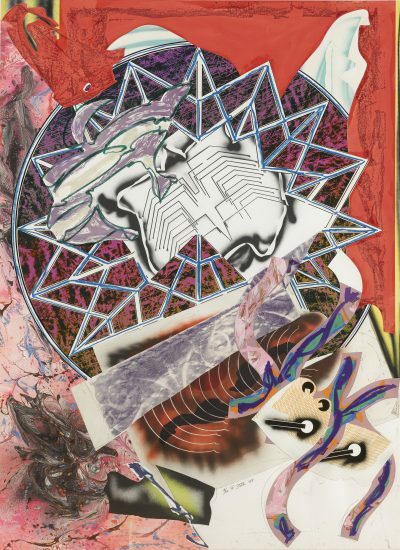 Frank Stella Untitled, 1995 is fully documented and referenced in the below catalogue raisonnès and texts (copies will be enclosed as added documentation with the invoices that will accompany the sale of the work). 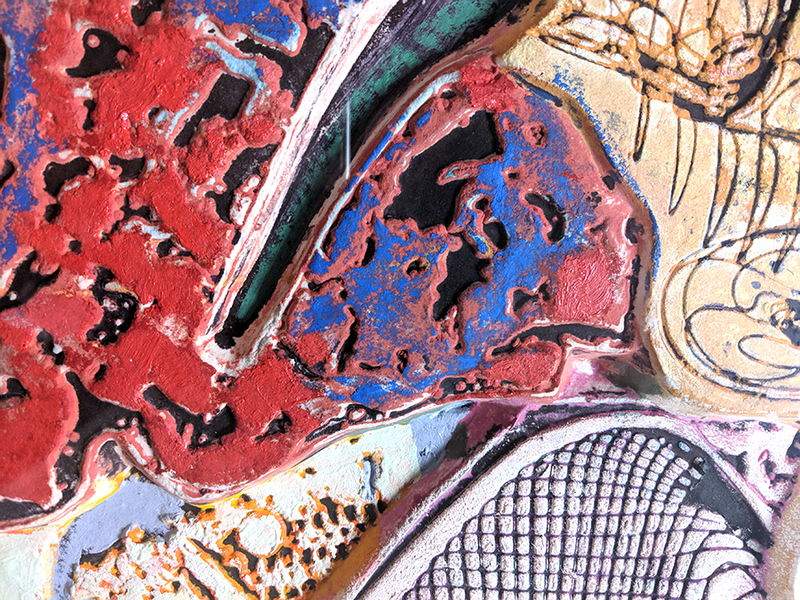 Framed to museum-grade conservation standards, Frank Stella Untitled, 1995 is presented in a complementary moulding and optical-grade Plexiglas.